The Moroccan Organic Lip Stain is an all-organic lip and cheek stain that tints your lips to that beautiful golden red color you have been looking for. This long lasting lip stain and cheek stain is delivered in a clay pot that transforms into a lips stain when rubbed with water or oil. Are you dying to have natural rosy lips? 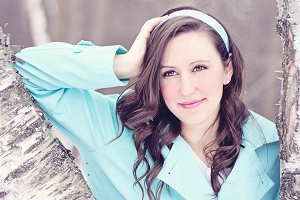 Choosing the right kind of cosmetics that fit your preference can be tricky. You could end up wearing stain for lips that are made from harmful chemicals which can cause lip irritation and even worse….. The Moroccan Organic Lip Stain is an all-organic lip and cheek stain that tints your lips to that beautiful golden red color you have been looking for. This long lasting lip stain and cheek stain is delivered in a clay pot that transforms into a lips stain when rubbed with water or oil. Works great in conjunction with a dab of oil to combat those dry lips. This is surely what you and every woman look for in a lip stain. Wear it on any occasion and be the center of attraction! If not only for food and ancient cities, Morocco is also famous for its ‘unique plant based makeup. 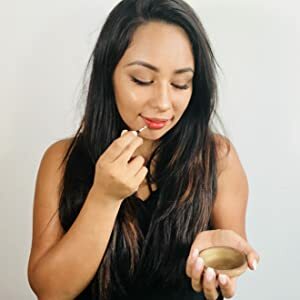 A specialty of North Africa, Moroccan Lip Stain is an all-natural Berber product that has been in use by North African women for centuries and one of the secrets of Moroccan beauty that many wants to get a hand of. 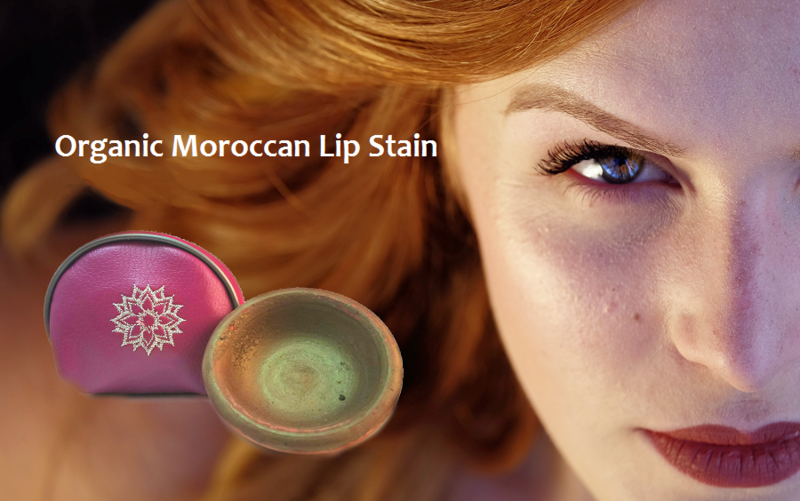 With our latest offering of Moroccan Lip Stain, you don’t need to travel to Morocco, we will deliver it to you because you deserve to experience one of the world’s natural beauty regimen. Our organic lip stain is handmade and produced using a botanical blend of pomegranate bark & dried poppy petal sunbaked in a terra-cotta pot. Each order directly supports the women of Morocco giving them much appreciated independence. Simple Product, Simple Application, Amazing Results! It’s our goal to bring you beauty products that are simply easy to use, not complicated in terms of product composition but always bring amazing results. 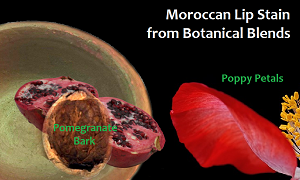 Being organic in nature, our Moroccan Lip Stain is handmade and is presented in a humbly appearance of a clay pot. Although it looks like none of your regular lipsticks, this lip stain has the edge of being chemical-free, Non-GMO and Hexane-free, and of course plant based cosmetics. For easy application, just wet the surface with water or oil, and apply it on your libs and cheeks. It also comes with a small brush for easy application. Just add water or your favorite mineral oil to the lip stain for an easy and even spread resulting in a natural pink glow. Since it is a water based makeup, you can easily and evenly spread the stain. Your makeup is your best pal. It goes wherever you go. 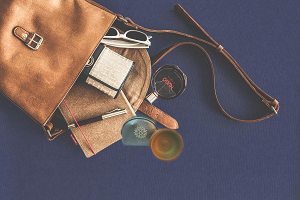 The Moroccan Lip Stain set comes in an elegant protective artisanal Moroccan keychain bag. With three (3) varieties of colors to choose from – red, silver and gold, you can buy the one that fits your lifestyle. Damaged lips getting to you every time you use lip stains? This is not the case with Moroccan Lip Stains. Made from botanical blends of essential fruit and flower, there are no chemicals included that can harm and dry out your lips so they stay healthy!